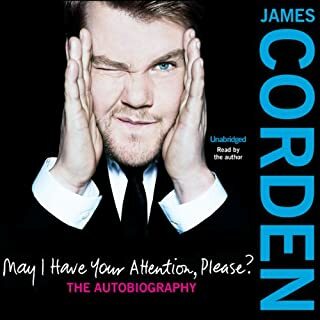 I really only knew James Corden from presenting the Late Late Show, I knew he was funny and thought this book might be interesting... I was wrong it was fantastic! Not only does James have an incredible reading voice (I believe he could read the telephone directory and make it interesting... If we had them anymore). He is honest throughout the book and you truly feel as though you have gone on this incredible journey with him. I'm now watching everything he has ever done and falling more in love with him with each passing moment. I recommend this book to James's fans... You will adore this...And to people like myself who have only just discovered him... You will become an instant fan! I didn't want the book to end, thank you James.